Chinese New Year is just a day away and if you have to leave the comfort of your precious speedy internet at home to travel back to your hometown, you can still enjoy fast internet on LTE network offered by various telcos in Malaysia. 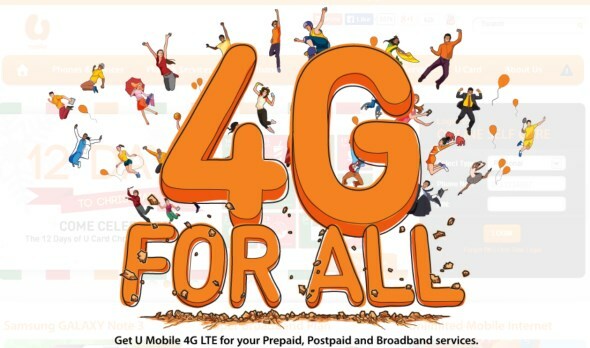 If you do not already have a LTE-enabled line and wish to get one, you don’t have to sign up for an expensive postpaid plan, several telcos are already offering LTE on their prepaid services and if you wish to get one for this Chinese New Year, here are the most popular ones you should consider. To date, the major telcos in Malaysia who are offering LTE for prepaid mobile number are U Mobile, Maxis Hotlink and Celcom Xpax. You can easily get connected simply by buying a new prepaid pack from your local convenience store so hit the break to find out the details. To enjoy LTE, all you need to do is send “LTE ON” to 28118. You’ll be charged at RM0.05/SMS and it’s only available if you sign up for UMI38 or UMI48. More information available at U Mobile. Announced just weeks ago, Maxis is finally offering LTE with its prepaid service, Hotlink and in conjunction with the launch, the telco is even giving away 50% extra data with a monthly internet pass. To get 4G LTE on Hotlink, all you need to do is get a new Hotlink SIM card if you do not already have one, and change your SIM card to a 4G SIM for free. After that, just top up either 1GB o 3GB of internet and you will be able to enjoy 10x faster internet and up till 28 February 2014, you can also get 50% more data. To subscribe, dial *100*9# on your mobile and choose “1” under Mobile Internet. 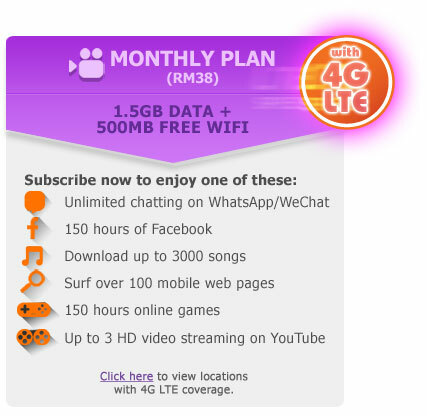 Choose “5” for Mobile Internet 1GB + 500MB extra data or “6” for Mobile Internet 3GB + 1.5GB extra data. Hotlink is also having a Chinese New Year promotion for you to win LTE-enabled smartphones and more so visit Hotlink for more information. Hands up if you have no idea that Celcom also offers 4G LTE on its prepaid services? We only discovered this a couple of days ago that, sorry for being slow, Celcom has quietly rolled out LTE on Xpax since December last year. Like Hotlink, all you need to do is replace your new Xpax SIM card with USIM at any selected Blue Cube outlets and you will automatically be on the LTE network. You can then subscribe to a Mobile Internet plan to start browsing immediately. To subscribe to mobile internet on Celcom Xpax, send “MI38” to 28882. Visit Xpax for more information. The price for all 3 telcos are pretty good but remember, your primary concern when picking a prepaid pack, especially when you want it for its LTE, should definitely be based on the coverage. U Mobile has the smallest coverage area but that’s only because the telco just launched their LTE services about a month ago. Celcom and Maxis should have pretty good coverage around Malaysia including East Malaysia. Check out U Mobile, Celcom and Maxis’ coverage page to see if your area is covered. Finally, if you’re celebrating Chinese New Year, do remember to be polite and put down your phones when you’re at family gatherings, greet people when you meet them, say “thank you” when you receive red packets and please, no phones when you’re at the dining table.